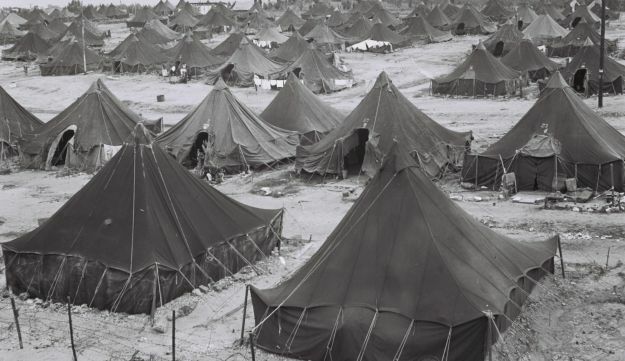 Home » Dispatches » Why Have Transit Camps for Mizrahi Jews Been Written Out of Israeli History? In 1951, a quarter of a million people were living in what was known as ma’abarot, 80 percent of them from Islamic lands. Most of the camps were dismantled by 1959. Ten forgotten years. During the past month I’ve been visiting distressed areas in Israel – the winter 2015 version. Every morning I arrive in a different place. Kfar Shalem, Ofakim, Or Yehuda, Ramle, the long and depressing tenements of Jaffa Dalet. Distressed neighborhoods of Israeli Jews. Happily, I haven’t seen especially harsh sights. The images I had in my mind of the ma’abarot and other sorts of immigrant camps have been shattered. At the end of the 1970s, Project Renewal was launched to rehabilitate rundown neighborhoods, and outwardly the situation has over the years become fairly reasonable. But many of the people I’m meeting are unemployed; a great many lead hardscrabble lives. It seems to me that before we talk about the distress of the retail price of Milky, the chocolate pudding snack that symbolizes the middle class, we should recall this country’s distressed neighborhoods. They are generally mute sites. They have generated a few outbursts in the past, such as the “Wadi Salib riots” in Haifa in 1959, and the Israeli Black Panthers protest movement in the 1970s. Lately we’ve heard about Givat Amal and Kfar Shalem. But generally, poverty here is mute. Back to the Encyclopedia Hebraica. In large measure, the encyclopedia was responsible for constructing the canonical Israeli consciousness. A perusal of it shows that the fact that it was a Hebrew encyclopedia and that its authors were stuck in the Levant, did not prompt them to search under their very own, local streetlights. For example, the entry “Karl” (the name of kings and emperors from the House of Habsburg and from Luxembourg) received two full pages. People named Rabinovich (or a variant spelling in English) were also given two pages. Krotoszyn, a town of 22,000 people in Poland with a highly developed Jewish community – got 25 lines. Kiryat Malakhi, with 12,000 inhabitants at the time, got 13 lines. But who’s counting? 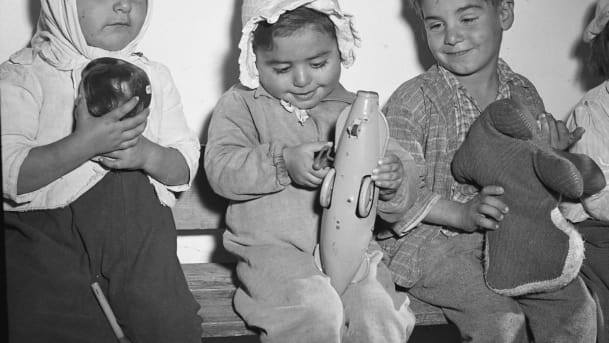 And maybe it’s not by chance that when you Google “ma’abarot” in Hebrew, the first entry that comes up is Kibbutz Ma’abarot. Prof. Dalia Gavriely-Nuri teaches in the politics and communications department of Hadassah Academic College, Jerusalem, and is a research fellow at the Hebrew University’s Truman Institute for the Advancement of Peace.